MAKE A DIFFERENCE IN JULIE’S LIFE. Let me introduce you to our friend, Julie, a Ramona resident of eighteen years. She is a wonderful lady facing some tough times as a single mother of three who was diagnosed with Polycystic Kidney Disease (PKD). Julie has struggled through many medical complications and hospitalizations over the past thirteen years, as the cysts on her kidneys grew, causing her kidneys to fail. Julie was placed on dialysis and eventually had to have both of her kidneys removed. She has travelled to Escondido three times a week for the past ten years for her dialysis treatments. These treatments physically exhaust her and the travel is a financial strain as Julie’s poor health keeps her from working. As Julie’s health continues to decline, her doctors have told her that her only chance for better health is to undergo a life-saving kidney transplant — a transplant is her only chance at a long life! She is currently on the active waiting list at Cedars-Sinai Medical Center, the only center that can provide her with the necessary care. Funding this life-saving operation is a monumental task. Even with insurance, Julie will have many uninsured medically-related expenses such as: co-pays and deductibles, doctor visits, travel and relocation, and the expensive immunosuppressant medications that she will need to take for the rest of her life. These expenses present a financial challenge that Julie cannot meet alone. To help offset Julie’s uninsured costs, a fundraising campaign in Julie’s honor has been established with HelpHOPELive (formerly NTAF). HelpHOPELive is a non-profit organization that has been assisting the transplant community for more than 28 years. Contributions are administered by HelpHOPELive for uninsured transplant-related expenses only. You can help make a difference in Julie’s life. Please consider making a tax-deductible donation to help Julie reach her goal.A few of Julie’s friends are in the process of organizing a few fundraising events. If you would like to contribute your time or talent, please contact Gina Meng @ [email protected] Or if you would like to have your e-mail address placed on a “Friends of Julie” list, again please contact Gina. I just had my 2 year transplantiversary!! I can’t believe it! All reports are great, PTL!! 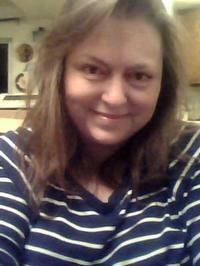 On Nov. 29, 2011, I received a kidney transplant! It’s 3 weeks post transplant now and it’s working great. I got the gift of life from a deceased donor and I will forever be grateful to his family. Thanks to all the financial donors I have been able to stay in a hotel near the hospital after transplant, which was very important. Hi Julie, I know your pain too well. My mother was a dialysis patient in Jacksonville for almost 5 years. The treatments can be very time consuming but with the right support you will thrive and a new kidney will be given to you before you know it. Be strong. Hi Julie! We are getting the word out in your hometown and to JSHS Classmates/Alumni. I'm honored to help you as your friend and in memory of my dad. Praying that the funds come quickly and that the kidney becomes available immediately. Hello Julie: We are residents of Ramona, CA and friends of Gina Meng who put us in touch with this program. We will pray for you that a transplant will come soon with the necessary finacial support. Julie, I am so sorry you are having to go through such tough times. I will certainly contribute and pray that you will soon be doing better. hi Jules, this is just the beginning of things getting better!